It's another plate of tasty news hors d'oeuvres this week with a new, and proper, version of Blood Bowl coming to your PC screen, those crazy chemists at Mage Company outlining the future for Wrong Chemistry and the Bushido New Dawn rulebook is here! Tuck in. Blood Bowl is a game that seems to have been sadly forgotten by Games Workshop, unless you believe the rumours that a special edition will be released this year. Thankfully Cyanide Studios hasn’t forgotten about the fantasy take on American Football as they have announced Blood Bowl 2. The original Blood Bowl on PC is probably one of the best digital conversions of a board game around. It took the rules and transcribed them perfectly into the digital world but more importantly it understood the mood of what Blood Bowl really is and made something that not only improved upon the original game but took advantage of the change of medium. The original game is now four years old but is still going strong with many online leagues taking place. I’m not sure what Cyanide can add to the game but it’ll be worth keeping an eye on. 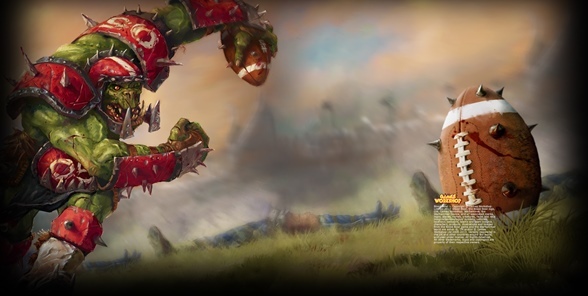 Blood Bowl 2 is coming for PC but no release date has been announced. One of my biggest fears with Kickstarter is that funded games may not make it out to the general populace, that somehow these Kickstarter releases are a one off affairs and that I’m going to miss out on a great game because of a limited run. Well Mage Company, who successfully Kickstarted their scientific puzzle game The Wrong Chemistry have not only announced an expansion, and an iOS version in the works, but they’ve also secured distribution for Wrong Chemistry, well everywhere. Expand your Lab, will not only add a fifth player to the game but will increase the tactical options available. Players will now be able to use Element Cards to turn over hexes and a series of open challenges will be available for all players that are difficult to complete but offer rich rewards. Mage Company are also taking the Wrong Chemistry further by announcing iOS, Android and PC versions of the game. Coding will be handled by Nomad Games, who are no strangers to digital conversions having recently worked on Talisman. Wrong Chemistry is one of those light puzzle games that could take the hand-held market by storm so watch out for its release. 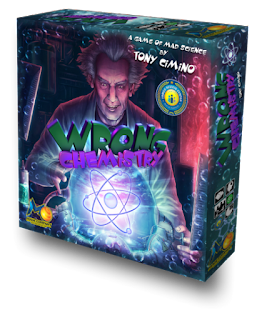 The Wrong Chemistry will be officially released at Essen Spiel 2013 and will be available world-wide in October. It will be distributed by Game Salute in USA, Germany, Poland, Russia, Australia and France, Spiral Galaxy Games in the UK and Ireland and Hobby Games Network in Singapore and Mainland China. Did we miss anyone out? Expand your lab will hit Kickstarter on 1st July. 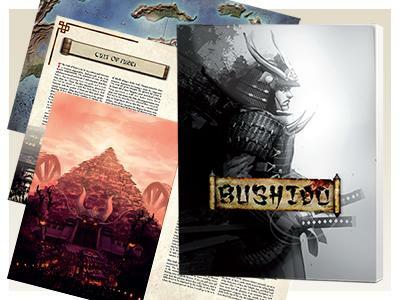 It’s only been a few days since I posted my preview of Bushido from the UK Games Expo but it was a few weeks ago when I saw the game and, at the time, the rulebook was only available for download. 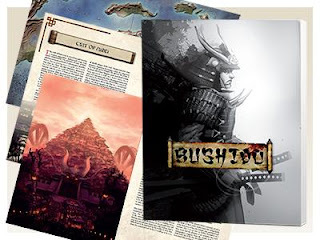 Well now GCT Studios have released the full real life rule book for the skirmish miniatures game, titled Bushido New Dawn. 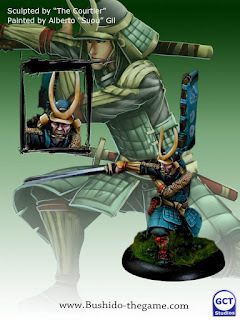 The release of New Dawn completes Wave 12 of Bushido’s release schedule and it also include some fine new miniatures, my personal favourite being The Courtier. 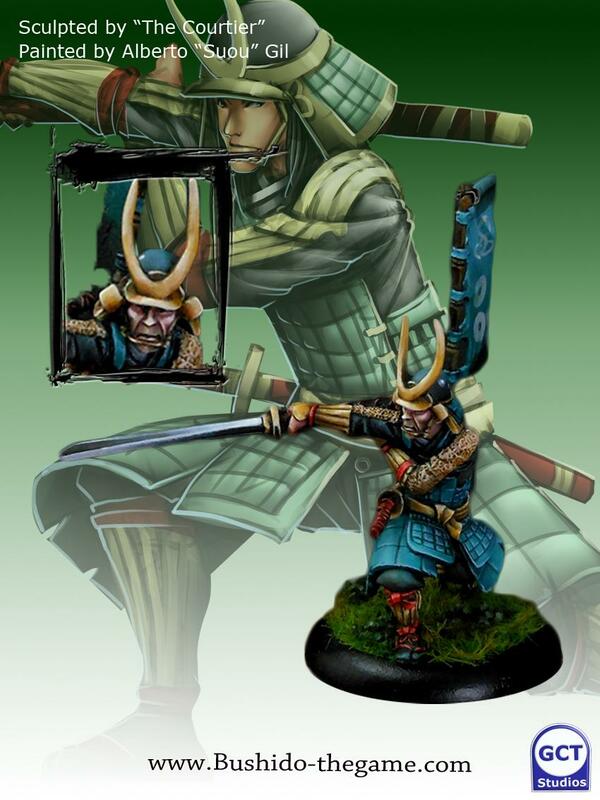 The Bushido New Dawn rule book can be purchased from GCT Studios.